All of us at Striata worldwide would like to take this opportunity to wish you a very happy & prosperous 2005. The number of clicks and time that a customer needs to view and pay their bill is of critical importance to all electronic billers and online banking divisions. The goal is always maximum convenience and minimum user effort. 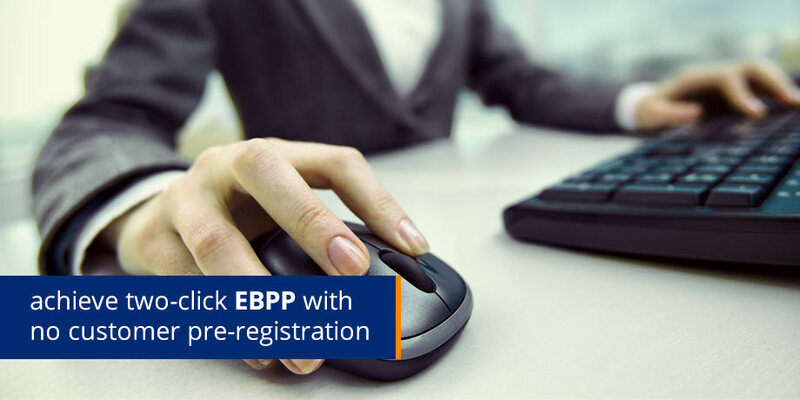 In today’s article, we show how it is possible to achieve two-click EBPP with no customer pre-registration. Every biller would like to stop sending their customers costly paper bills and make it as easy as possible for every customer to view & pay their bills electronically. Secure Email Billing takes care of all of the above! A ‘shared secret’ is chosen that is only known to the biller and the customer. This can be a Social Security Number, Account number, Existing Pin code etc. The Biller sends the customer their next bill securely via Striata’s email. The eBill opens (offline or online) in the customer’s web browser. The eBill looks exactly the same as the paper one. The customer can print it out if required. The payment is then automatically submitted (without the need for the customer to visit a single website). The customer receives an email confirming their payment. The payment flows directly into the Biller’s bank account exactly like any other ACH payment. The Biller then automatically stops sending paper bills after one or two eBills have been successfully received and paid by the customer. Note: Customers that pay by phone or have automatic recurring debits will still get their bill securely via email but will not have the payment facility. It is as simple as that – no customer registration is required and just two clicks to view and pay the email Bill. The entire process of viewing and paying an email Bill should take a customer less than 2 minutes at most. Once customers have viewed and paid their bills, they can then click through to other self-service functionality on the biller’s website, should they require additional assistance. Please feel free to contact us so that we may arrange a webcast / presentation showcasing a number of US and International companies who have effectively rolled out Striata solutions of this nature.